Learning to knit has never been easier An accessible introduction to knitting, How to Knit is for absolute beginners. Simple-to-follow projects teach the basic skills and techniques of this fun and creative craft. 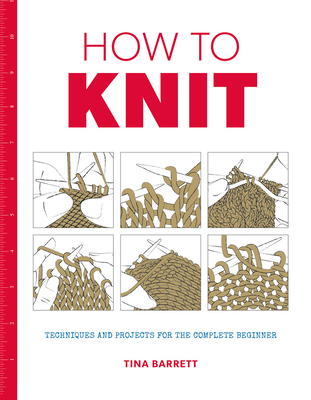 Beginners will learn all the essentials, from how to hold needles, cast on and off, make a tension swatch, and form the basic knit and purl stitches, to how to knit stripes, cable, rib, and lace, plus shape their knitting and add buttonholes. Projects include tablet cover, hot-water bottle cover, striped hobo bag, fingerless gauntlets, beanie hat with felt corsage, envelope clutch bag, cabled placemats and coasters, chunky lace cowl and patchwork cushion cover.